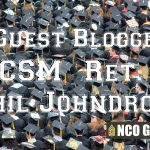 In this episode, host CSM (Ret) Dan Elder sits down with the current US Army Combat Readiness Center Command Sergeant Major, CSM Terry Burton, and asks him about his role as the senior enlisted advisor of the unique command. Dan asks a number of questions ranging from how the CRC impacts Army readiness, what are some of the trends seen by the CRC, how soldiers can help reduce the suicide rate, to reflective belts and what an accident investigation board consists of. Tune in to hear CSM Burton and his views, as well as some upcoming professional development opportunities for soldiers. The following are the questions presented to CSM Burton, tune in to hear his responses. What is the primary mission of the U.S. Army Combat Readiness Center? 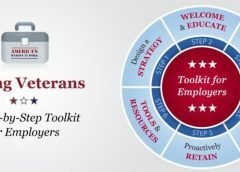 How does the CRC impact readiness? What role do noncommissioned officers take in Army safety programs? What was your biggest surprise when you assumed duties as the senior enlisted advisor of the CRC? How should a soldier who wants to be assigned to the CRC prepare themselves for consideration? 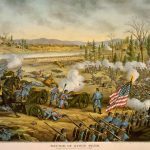 What is your biggest concern in regards to soldiers and reducing risk? What is the CRC doing about suicide? How can individual soldiers help reduce suicide risks? Who does the CRC partner with in and out of the federal government, and why? Describe the different categories of accidents and the impact accidents make on readiness? Aviation accidents seem to get the biggest press, but what are some of the most common accidents? What types of accidents are on the rise, and what can soldiers do to help? Describe an accident review board and what goes into their results and findings? As you prepare to leave the CRC what do you feel are or two things you were not able to complete? What is your legacy at CRC? Our thanks to CSM Burton for participating in this interview and wish him continued success. 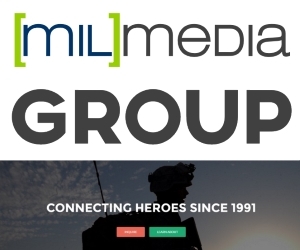 Statements here are personal opinion and do not reflect the official position of the US Army or DoD, participation in our interview sessions does not equal endorsement of any type. 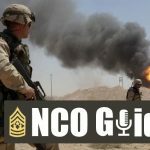 The NCO Guide is a news outlet of professional commentary and opinion from current and former Soldiers with the desire to share their expertise and experience and can be read at http://www.NCOGuide.net. Command Sergeant Major Terry D. Burton assumed responsibilities of the Combat Readiness Center in March 2016. Command Sergeant Major Burton was raised in Roanoke, Va. 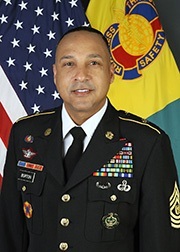 He enlisted in the Army in November 1989 and completed Advanced Individual Training in May 1990 at Fort Dix, N.J.
CSM Burton’s prior assignments include nominative command sergeant major, 13th Sustainment Command (Expeditionary), Fort Hood, Texas; command sergeant major, 404th Army Field Support Brigade, Joint Base Lewis-McChord, Wash.; command sergeant major, 172nd Support Battalion (Legacy), Schweinfurt, Germany; sergeant major nonresident facilitator, U.S. Army Sergeants Major Academy, Fort Bliss, Texas; battle staff facilitator, USASMA; operations sergeant, 129th Combat Sustainment Support Battalion (AASLT), Fort Campbell, Ky.; first sergeant, 227th General Supply Company (AASLT), Fort Campbell; detachment sergeant, 5th Special Forces Group (ABN), Fort Campbell; senior maintenance supervisor, 561st Combat Support Battalion (AASLT), Fort Campbell; senior drill sergeant, 1-61st Infantry Battalion, Fort Jackson, S.C.; platoon sergeant, 2nd Infantry Division, Forward Support Battalion, Camp Hovey, Korea; motor sergeant, 32nd Medical Battalion (ABN), Fort Bragg, N.C.; and squad leader, 5/502nd Infantry Battalion, Berlin Brigade. He has deployed five times in support of U.S. Central Command operations, including the countries of Jordan, Iraq (twice), Afghanistan and Kuwait. 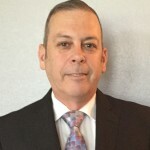 CSM Burton holds a bachelor’s degree in Science from Excelsior College and is a certified advanced instructor and certified demonstrated senior logistician. 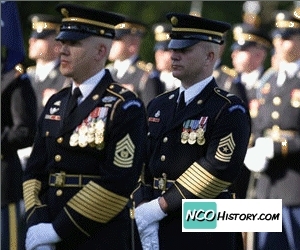 His military education includes all levels of the Noncommissioned Officers Education System, culminating with USASMA (Class #58), Executive Leaders Course, Structured Self-Development Level 5, Senior Enlisted Joint Professional Military Education Course, Command Sergeants Major Legal Course, Force Management Course and Asynchronous Distributed Leaning Instructor Course. CSM Burton’s awards and decorations include the Legion of Merit (one oak leaf cluster); Bronze Star Medal (two oak leaf cluster); Meritorious Service Medal (four oak leaf clusters); Army Commendation Medal (two oak leaf clusters); Joint Army Achievement Medal; Afghanistan Campaign Medal (one service star); Iraq Campaign Medal (three service stars); Korean Defense Service Medal; Army of Occupation Medal; Army Superior Unit Award (one oak leaf cluster); Army Presidential Unit Citation; and Army Meritorious Unit Citation (two oak leaf clusters). He is a recipient of the General Brehon B. Somervell Medal of Excellence, Ordnance Order of Samuel Sharpe and Quartermaster Order of Saint Martin member. A Texas Patriot Way Brick Walk embodied with his named placed in the City of Belton, Texas. 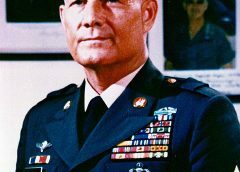 He also holds the Air Assault Badge, Master Jump Wings, Singapore Jump Wings, British Jump Wings, German Schutzenschner, German Occupation Badge, Drill Sergeant Identification Badge, and 172nd Infantry Brigade (Legacy) Plank Holder Medallion. CSM Burton is married, and he and his wife have three boys.